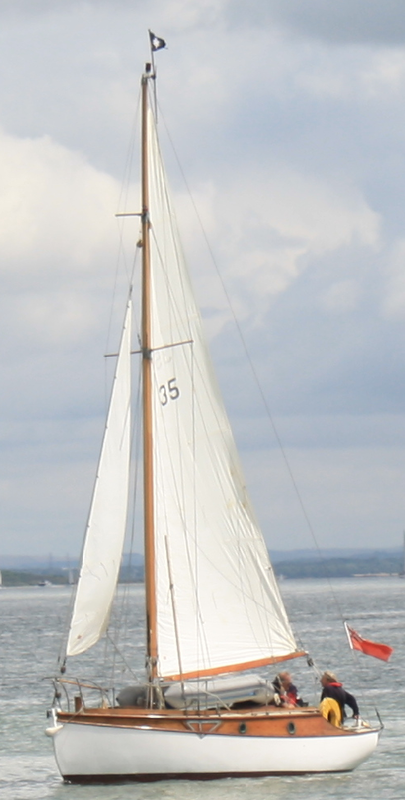 Cobber is HBA Chairman John-Henry Bowden's boat, a Z4 with the coachroof extended to the hull sides to give extra space below. She's in good condition following work done between 2004 and 2010 including sheating the deck, garboard plank & floor repairs, and a new mast. There are more photographs of Cobber taken when she attended the “gathering of the boats” meet on the Newtown River, July 2014. News, April 2018; Cobber is to feature in “Affordable Classics” in a forthcoming edition of Classic Boat. # Cobber was originally called Wraith until 1949. # John-Henry & Marilyn Bowden became members to the HBA in 1982.